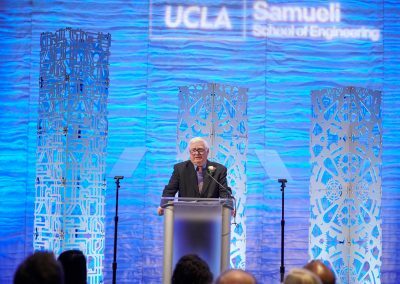 Alumni, faculty members and students of the UCLA Samueli School of Engineering came together Saturday night for the school’s 2019 Awards Dinner. 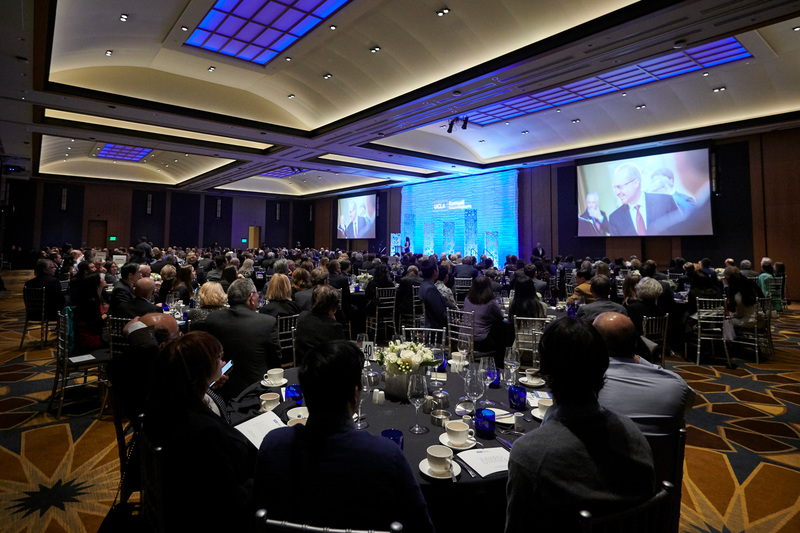 The annual event celebrates the outstanding achievements of the UCLA Samueli community. Jayathi Murthy, the Ronald and Valerie Sugar Dean of UCLA Samueli, welcomed the nearly 400 attendees, providing a look at the year ahead that will mark the university’s centennial starting in May. 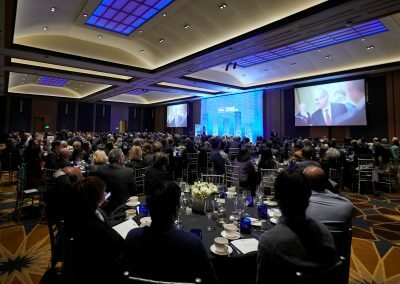 Murthy cited the university’s reputation as an established academic powerhouse as a sign of how far UCLA has come in 100 years. She noted it has an $11-billion impact on the California economy. And that it’s been recognized as the most productive mobility engine among elite schools, according to The New York Times. 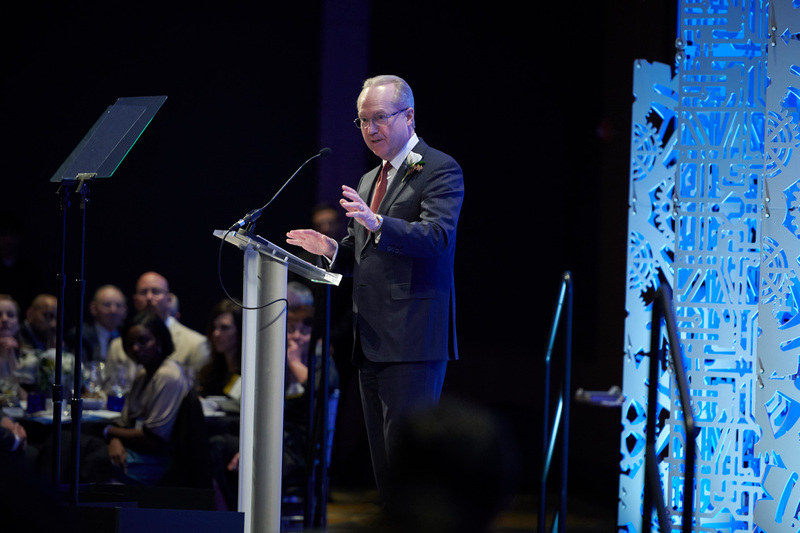 Capping the program, Thomas Kennedy PhD ’84, CEO and chairman of the board of Raytheon Company, was named the 2019 Alumnus of the Year. 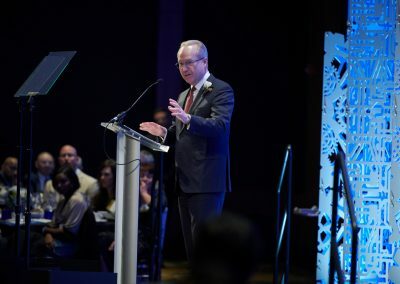 Kennedy joined the global defense, civil government and cybersecurity firm in 1983 as an engineer, and worked his way up into program leadership roles. He joined senior management as a vice president in 2003. He has led the company since 2014. Today, it has more than 67,000 employees and more than $27 billion in annual sales. 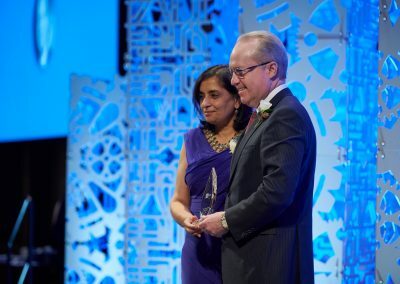 Kennedy credited his career success with the engineering foundation he received at UCLA. 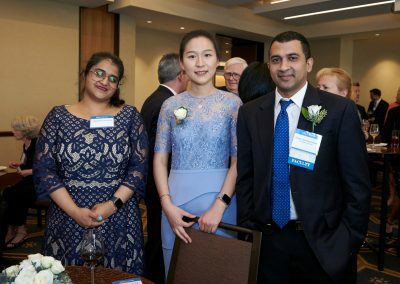 “With the exponential changes in technology … such as nanotechnology, quantum computing, AI and machine learning, and additive manufacturing, I find myself relying more and more on my engineering background to help make the hard decisions needed to run the company,” he added. 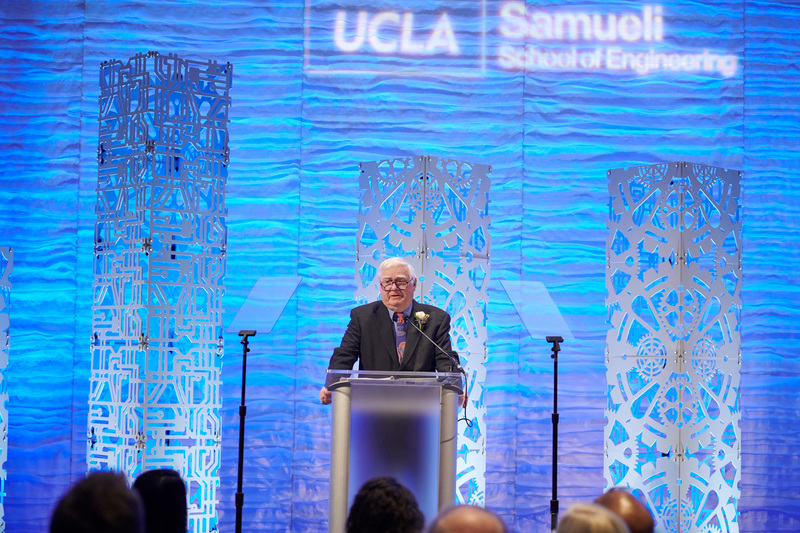 The Lifetime Contribution Award winner was Oscar Stafsudd ’59, MS ’61, PhD ’67, professor emeritus of electrical and computer engineering, who noted his connections to UCLA date back to 1948, when he saw the campus for the first time as an 11-year-old, on a family car trip to the beach. “I remember thinking – I want to go to school there,” he said. “Well – not only did I get to go there, but I loved it enough to stay. 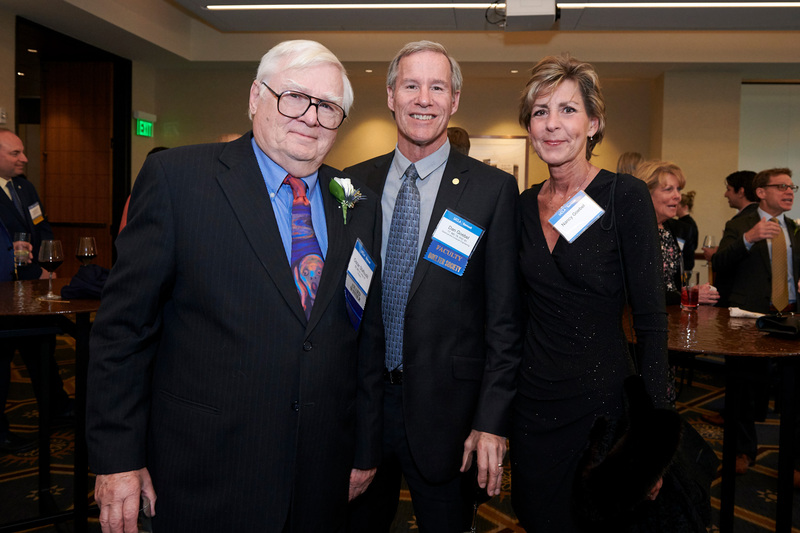 During his distinguished career, Stafsudd focused on several research areas, including infrared detectors, lasers, solar cells, and medical imaging technologies. A versatile teacher, he taught 20 different undergraduate courses in his more than 50 years with the school. He also developed the department’s Introduction to Engineering Design course, which emphasizes teamwork and communications skills. “I have had the privilege of mentoring thousands of bright young students as they learned what it meant to be an engineer,” he said. 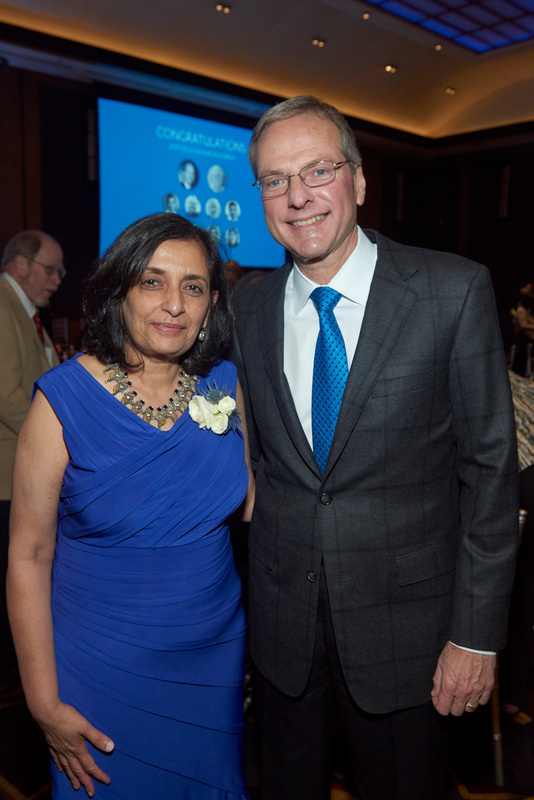 Mukund Padmanabhan MS ’89, PhD ’92 received the Professional Achievement Award. 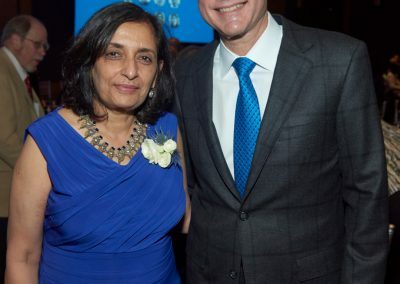 He is partner and staff Member at Renaissance Technologies LLC, an investment firm based in New York. Prior to Renaissance, he was a research staff member at IBM’s TJ Watson Research Center, where he specialized in speech processing. 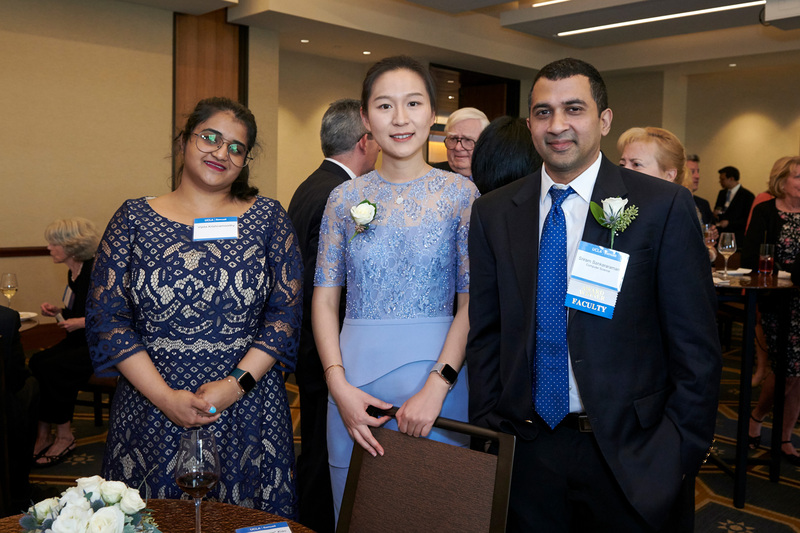 Padmanabhan, through the Guru Krupa Foundation, has supported graduate fellowships and undergraduate scholarship for UCLA engineering students, and a semiconductor laboratory in Engineering VI. Adrian Tang PhD ’12 received the Rising Professional Achievement Award. At NASA’s Jet Propulsion Laboratory, Tang is a strategic researcher and directs the Space-System-on-a-Chip Laboratory. He has led the development of integrated circuit chips for spacecraft instruments, which have yielded invaluable scientific insights into the solar system. 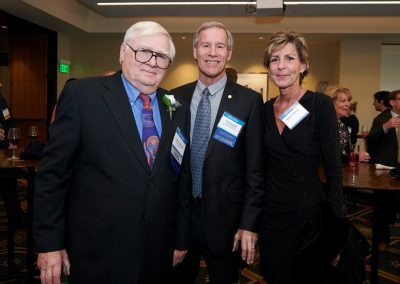 Three faculty members received honors at the event. 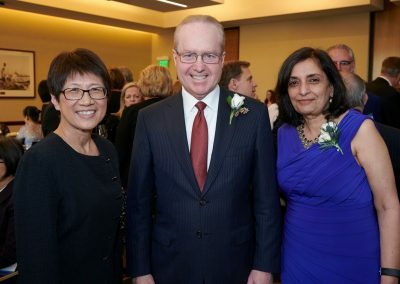 Ann R. Karagozian ’78, distinguished professor of mechanical and aerospace engineering, received the school’s University Service Award. A faculty member since 1982, Karagozian’s long record of leadership includes serving as interim vice chancellor for research in 2016-17; and as the vice chair, chair, and immediate past chair of UCLA’s Academic Senate from 2009 to 2012. 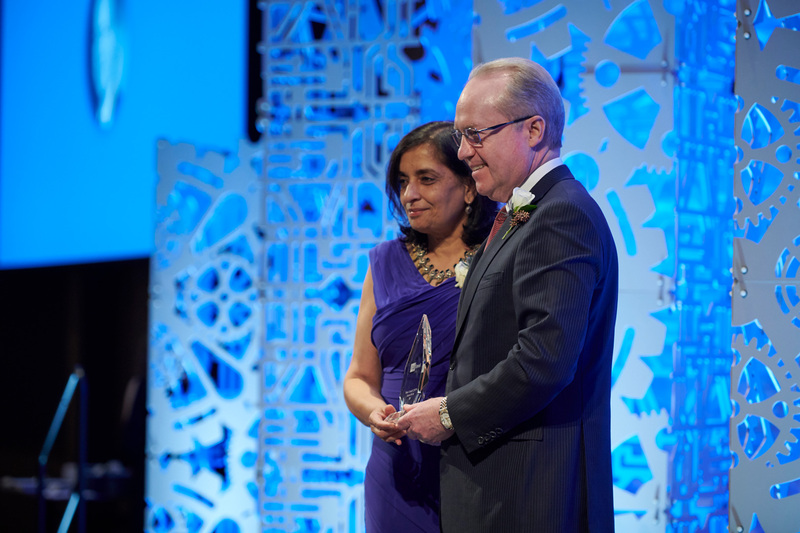 Jennifer Jay, professor of civil and environmental engineering, received the Lockheed Martin Award for Excellence in Teaching. Jay incorporates a service-learning component in her classes, and teaches a year-long freshmen course on food as it relates to the environment. Sriram Sankararaman, assistant professor of computer science, received the Northrop Grumman Excellence in Teaching Award. He created a course on machine learning for bioinformatics, the first of its kind in the country. Three recent graduates were honored as recipients of the Edward K. Rice Outstanding Student Awards. Ernest Lee PhD ’18, who earned his Ph.D. in bioengineering, was the outstanding doctoral student. Lee is part of the UCLA-Caltech Medical Scientist in Training program, and will earn an M.D. from UCLA in 2020. Lee studies how disease-causing bacteria work and designs products that can successfully combat those bacteria. His Ph.D. advisor was Professor Gerard Wong. Zhuyun (Maggie) Xiao MS ’17 was the outstanding master’s student. Xiao, who is advised by Professor Rob Candler, conducts research on magnetism at the nanoscale. She is a member of the NSF-funded center for Translational Applications of Nanoscale Multiferroic Systems, or TANMS. Xiao is spending this academic year at Lawrence Berkeley National Laboratory, where she is a graduate fellow. Alice Tang ’18, who received her degree in bioengineering, was the outstanding bachelor’s student. She is in her first year at UC San Francisco’s M.D./Ph.D. program. As an undergraduate, Tang was a member of Fabien Scalzo’s neuroscience laboratory, where she developed algorithms to improve medical imaging of the brain. Rich DeMuro, KTLA Channel 5’s tech reporter, emceed the event.